Styled with malcom pant and nicolas sweater . 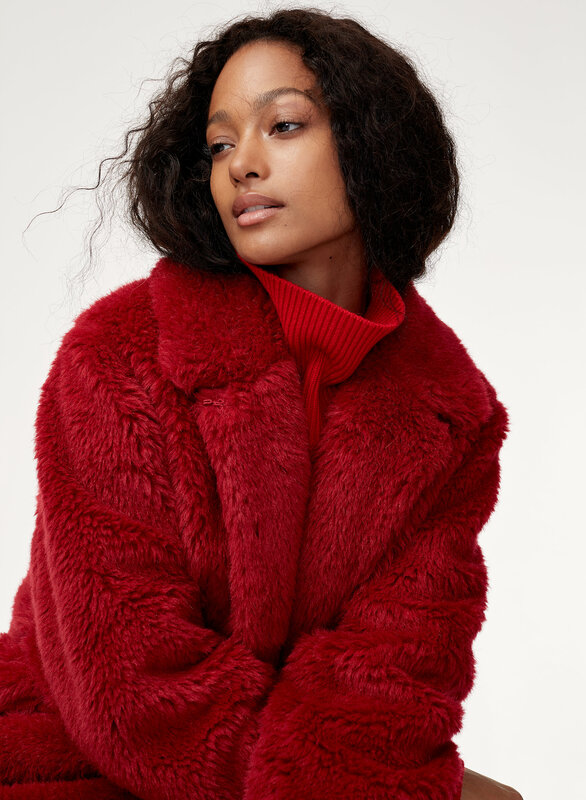 The cozy coat you've always wanted: soft and plush with a long, relaxed fit that makes layering easy. Hello, winter. 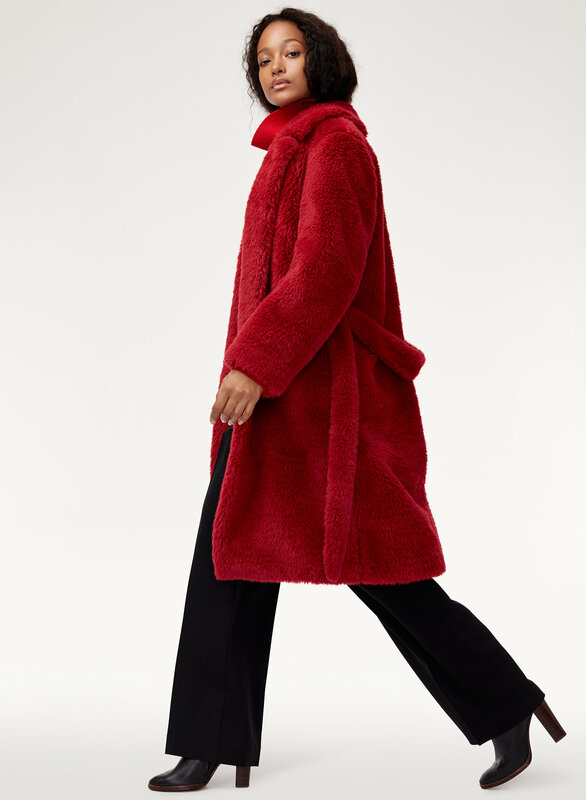 I like the red colour and the length of the coat. I wish the sleeves were a little longer and there were more fasteners to close the coat. I have a pretty narrow frame and find that this fits like a very large intimidating bathrobe of it. The shape is not helped by the fact that the outer fabric also looks like a towel and feels cheap. The color is not as rich a red as pictured (think more of an orange hue). I am not sure what the designer was going for. Maybe I'll style it with a satin slip inspired dress to keep the bedtime vibes going? Or just return it. 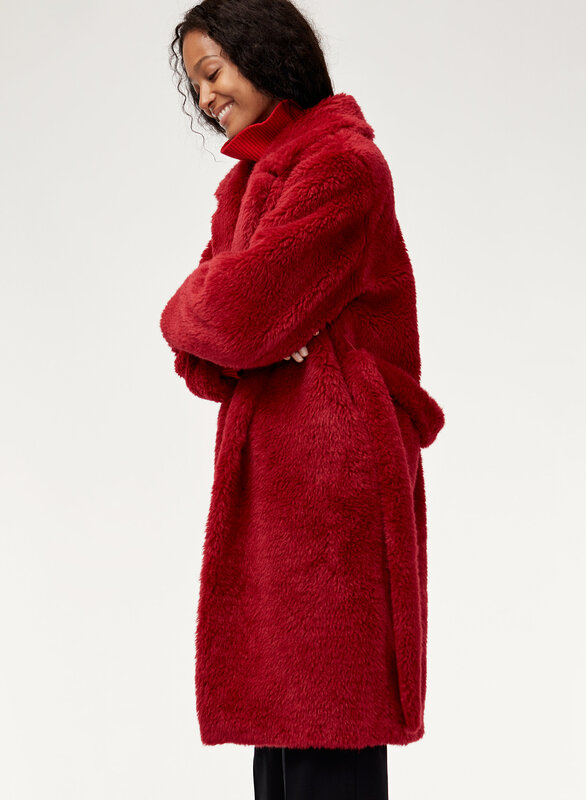 Size down for sure if you still want this coat. I love the coat! Purchased in Camel. I receive a lot of compliments when I wear this coat. Gives you a classy yet fierce look at the same time. Don't hesitate to purchase! You won't be disappointed! I usually wear a size L.. but I purchased a M. Glad I did bc it fits a little bigger. So go a size down! 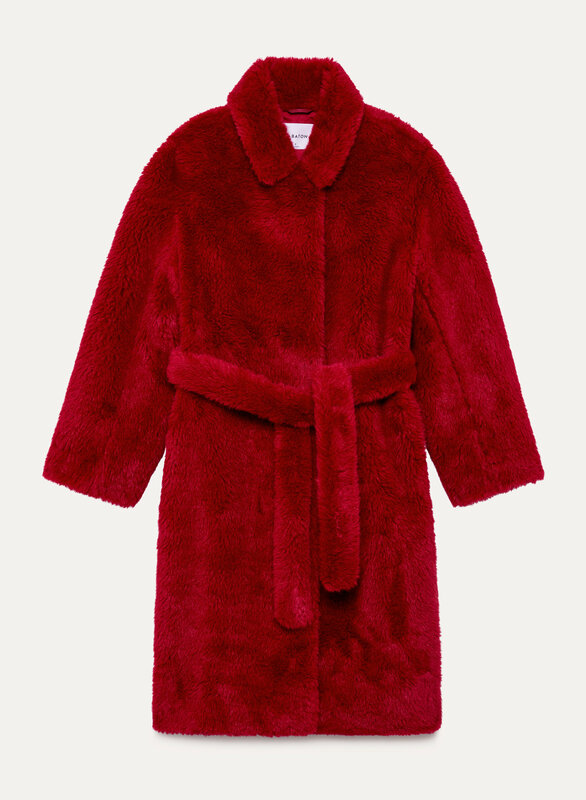 Beautiful classic coat - very glamorous and such a steal!!! Camel colour is perfect. Very warm coat. Wish the the faux fur was a little softer. But overall a really nice coat. I love my coat! It’s a new staple in my wardrobe! Once I receivced the coat, it wasnt for me. I am not very tall about 5'2" and the coat just seemed to over power me. Perfect fit!! 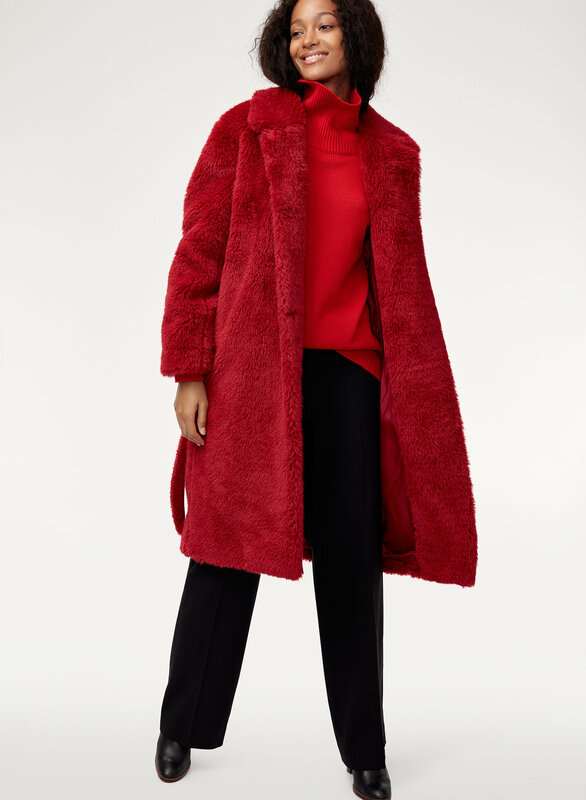 Would absolutely buy in another colour - it’s pretty warm for early winter weather!